Finished the prototype for the Polivoks VCF in MOTM format. It includes the mods done by Dave Brown. As i’m unable to find NTE888 here in europe, i’ve used LM4250 in replacement. I had to up the 100R resistor to 110R to work with the 4250 otherwise the filter was stalling when the limit switch was on. Great little filter and low parts count. Boards, Bom and schematics in the Project section. 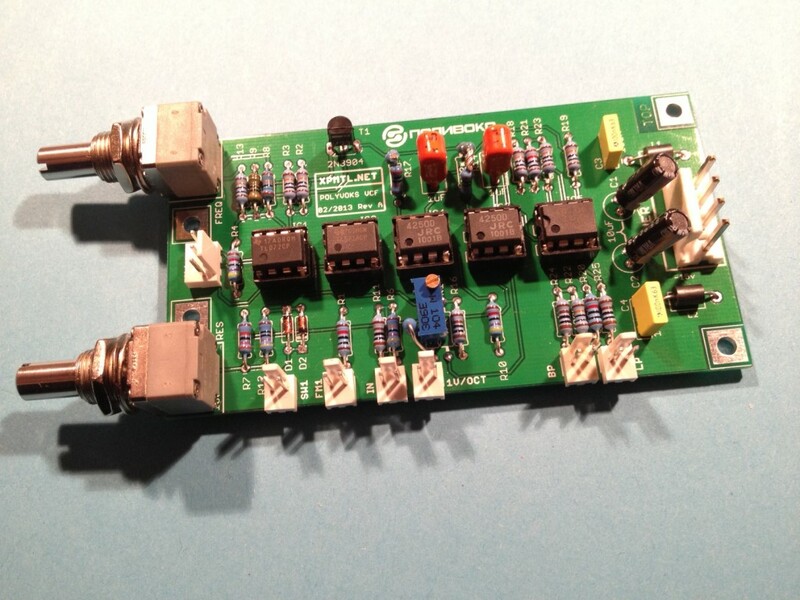 This entry was posted in motm, polivoks, sdiy on 27/06/2013 by Terence Hacke®.